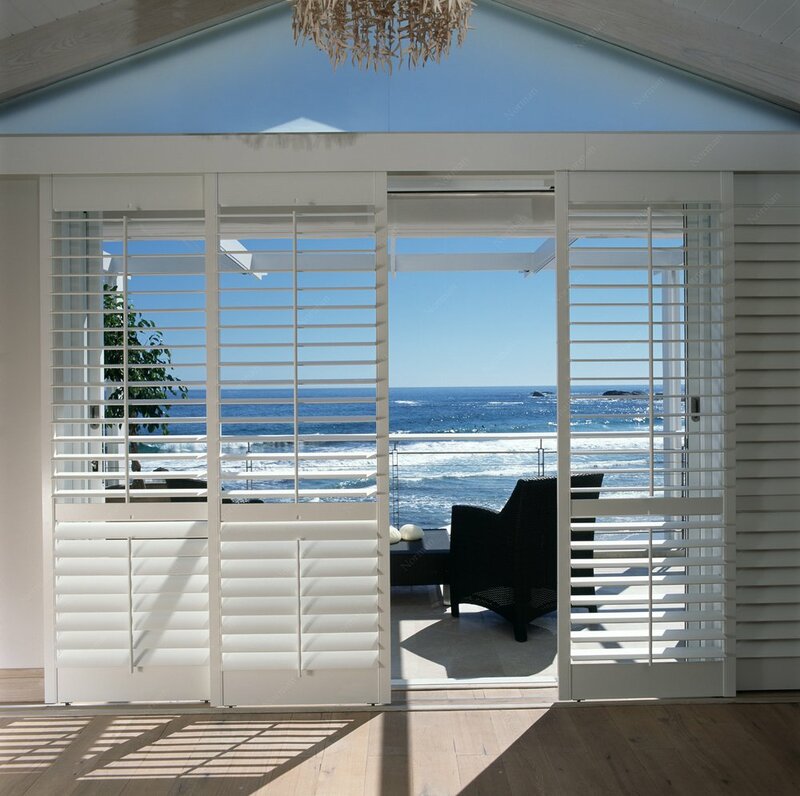 Aluminium Shutters are designed to create beautiful, functional and affordable outdoor living areas that provide you with the opportunity to make the most of your indoor outdoor living all year round. And they can look like Timber, but with the benefits of Aluminium. Fixed aluminium screens are also available with this range. The Aluminium range is perfect for your home or your holiday home in Hamilton. Aluminium shutters offer attractive features to suit your style requirements. Easy to Tilt Blades - for wind protection or to block the sun, also to allow varying degrees of privacy when required. Custom Designed - to suit any deck opening. Sliding, Bi-folding or Fixed Aluminium Shutters - options to suit your individual design requirements. Privacy - maintains privacy whilst retaining views. Durable and Maintenance Free - no more painting. Colour - powder coated to match your exterior colour scheme or Woodgrain powder coat combines the beauty of timber with the durability of aluminium. 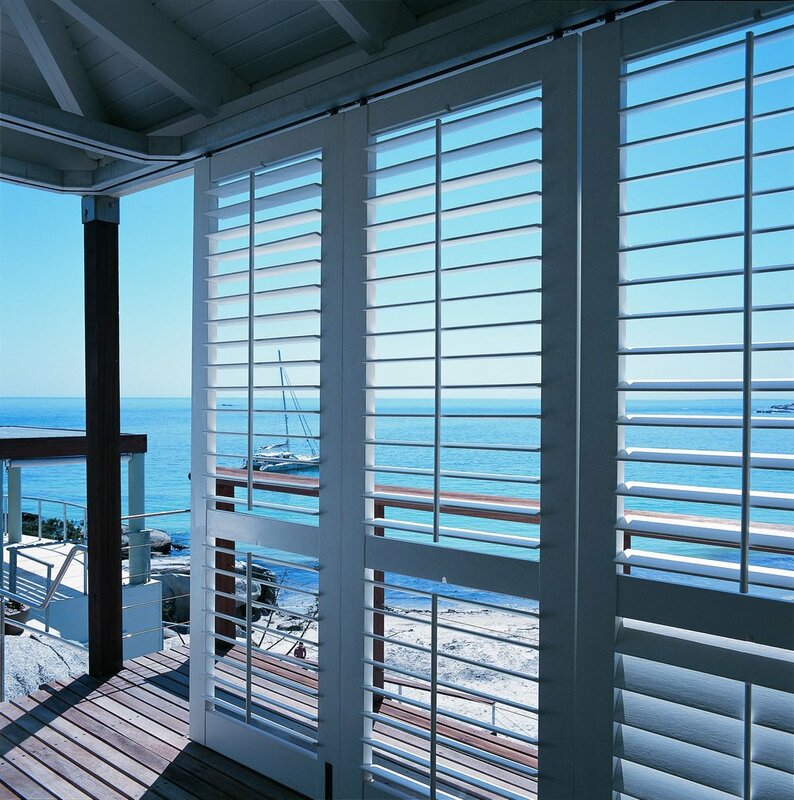 Aluminium shutters are perfect for indoor outdoor living areas such as decks or patios.